lawsuit against me was dropped by BOA, this action was brought about by the actions taken by Daniel Joseph Ciment, of the law firm Heston/ Ciment. I am very pleased by the outcome of the case, and the services provided by Mr. Ciment and his staff. 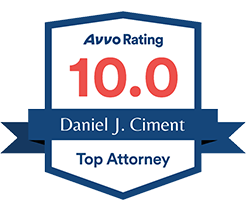 I highly recommend this law firm and mr. Ciment for the outstanding work that they have provided to render the outcome of this case in a positive manner.